Death grabbed at me twice in one day when I was an eleven year old boy. 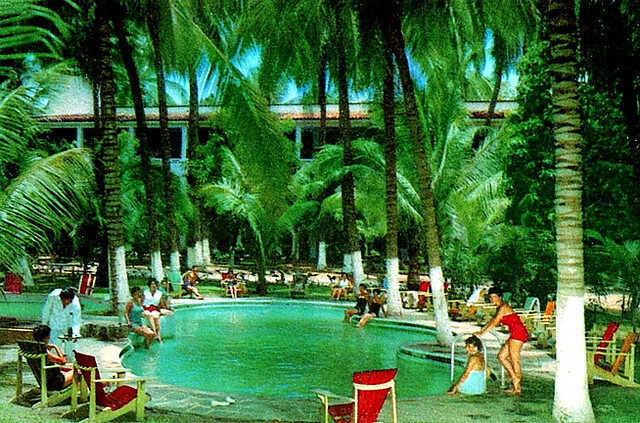 It was in Acapulco in the summer 1965. My mother and father and I were traveling in Mexico for the summer. 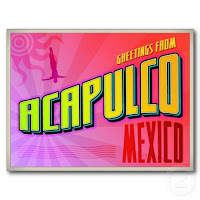 My father's brother had hired a driver to take us from Mexico City to Acapulco through the mountains and jungles. It was one of the most fantastic sites I had ever seen with huge waterfalls plunging hundreds of feet down to the canyon floor far below us. It was also filled with terror and sadness as the driver sped along the winding mountain road. I remember the terrible thud of an unfortunate dog that we hit, my parents angry with the driver as he tried to explain that any swerve to avoid the animal would have resulted in the car going over the cliff. I wept in the back seat the remainder of the drive. 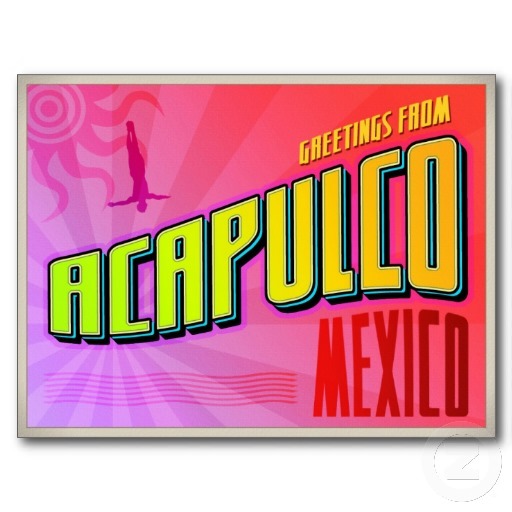 But Acapulco was a magical place and my tears dried in the magnificent sun and surf vacation Mecca. It was everything one would expect from the Hollywood movies. 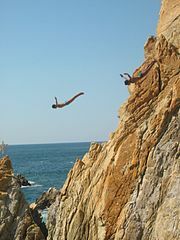 The candy stripped electric carts, the cliff divers at La Quebrada and hotels surrounded entirely by swimming pools. It was the first time I had ever swam in a heated pool in the rain and the pool was cooler than the rain water. My parents made friends with another vacationer named Roy whom I became very fond of. Roy was a cool single guy in his 30's, funny and took me on glass-bottomed paddle board rides in the beautiful, fish filled crystal waters. Months later, Roy came over for dinner to our home in Woodland Hills, California where we introduced him to my mom's good looking friend Barbara. Roy accidentally took Barbara's cigarette lighter so that he had an excuse to call on her again. My parents said that Roy was quite the operator. 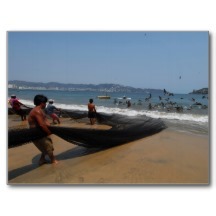 One day in Acapulco, we went swimming at the beach. I had one of those little Styrofoam paddle boards that were popular back then and headed in to the surf. Paddling out a ways, I suddenly found myself caught in a whirlpool and could not paddle out. I remember waving to the adults on shore for help, the sound of the crashing surf swallowing my cries. My mother smiled and waved back as I began to spin in circles around the funnel of water. My father had never learned to swim and was always a bit uncomfortable in pools and on the beach. In fact, he generally preferred a three-piece suit to swim shorts and confided to me once that Mexicans in his day looked down on men in shorts. But he could tell that I was in trouble and quickly started wading into the surf. A few moments later a young life guard jumped in to the water, swam over and pulled me free from the whirlpool's grasp. On the shore, everyone came running and I finally let go of the little paddle board, my chest burned red by the Styrofoam I had clutched so tightly. Everyone finally relaxed and after a short while I noticed a horse and her colt down the beach. I went over to have a look, my parents saying "stay out of the water for a while son." I reached out to pet the colt. I remember hearing my mother scream at the exact same moment I saw the shadow move. I felt the wind from the Mare's hoof as it missed my head by a fraction of an inch. 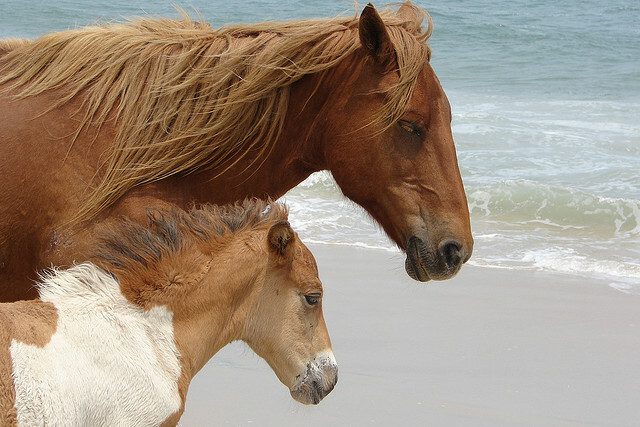 I dove and rolled in the sand, the mare still kicking in anger. I made a mental note not to play with other animals children without permission. Again, everyone came running and I was escorted back to safety once again. Perhaps Fate was playing with me that day. Perhaps it laughed in amusement and said "Let's let this one live a little longer and see what happens." Perhaps I was just lucky. I ponder and write about this on another, more distant Mexican beach on the Caribbean, not far from Belize. Either way, it was a day I will never forget.